Not all smartphones have the speaker quality or volume levels to make your stereo envious. These two issues—along with poor speaker placement—can get in the way of you enjoying the sound. Here are a few tips to help you improve sound quality and increase volume on Android. You can try a speaker booster or volume booster app, but plenty can be improved with a little audio know-how. You could optimize your Android audio experience through the settings. Not all Android UIs have this feature, however, so it won't work for everyone. If your device has it, the procedure is easy, though. And once you've done it for the first time you will be able to quickly enhance your audio settings in the future. Enter Settings and tap Sounds and vibration. From there hit Sound quality and effects. You should have a series of options to enhance your audio experience. MIUI from Xiaomi has an enhancer for headphones. Just toggle it on and pick the type you're using. You should have a choice between in-ear and normal headphones. Xperia UI allows you to use the ClearAudio setting and has an equalizer. You can get to it through the settings. With HTC's Sense UI you can toggle BoomSound but there's really no reason to turn it off, as the audio is terrible without it on. You can't optimize your audio settings from Oxygen, LG UI or Stock Android. You have the option of replacing the stock music app with one that includes more audio control. 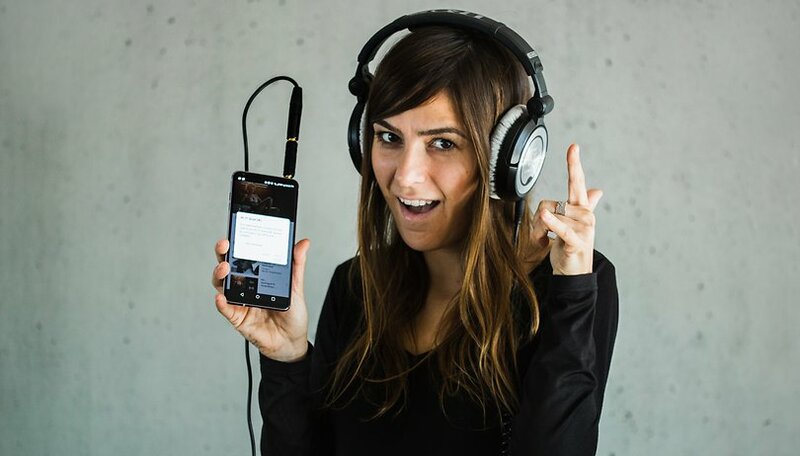 We recommend Poweramp or PlayerPro from our top music apps for Android. Both are jam-packed with audio tweaks, presets, bass boost and more. Just make sure your music folders are checked in the app settings. Poweramp offers a 10-band EQ for serious tuning. You'll have to pay a couple of bucks to access all the best features but once you do you'll never look back. Several of our readers have also recommended PlayerPro as an alternate music app. The software offers advanced audio configuration options as well as many ways to customize the visual experience too. PlayerPro costs $3.99 but there's also a free trial version available for the curious. Music player apps like the above are great, but of course, it only works from within the app. So what if you want to boost speaker sound overall? This is a little controversial because the fact is that even though there are many apps on the Play Store that claim to do this, compatibility is iffy, and using an app to force your speakers past their default max can actually damage your phone's hardware. So while you may find the right volume booster app for your device and OS, it may take some digging, and while testing this, don't crank it all the way up straight away! The default audio controls on most phones are not exactly comprehensive. Some include a basic EQ but it often only works within the default music app and provides no control over audio not played through the music player. It's important to note that no app works miracles when the hardware is not working properly but with a couple of simple adjustments your sound quality can be improved significantly. So hit the Play Store and get yourself a decent EQ. We can recommend both Music Volume EQ and Bass Booster. It may seem silly, but the first thing you need to know is where the sound is coming from on your smartphone. Lots of phones have twin speaker grills, but often only one of them produces any sound. If your speaker is blocked then the sound quality will be low or non-existent. Test out where your sound is coming from by playing some tunes and covering the various holes on your phone until you know exactly where the audio is coming from. There shouldn't be too many places for a speaker to hide and, once you've found them, you can get started on finding the problem. Once you know whether your speakers are front-facing, bottom-mounted or on the back, you can make more intelligent decisions about how to position your smartphone to give speakers the best chance to shine. Don't block the speakers when holding your phone (a common mistake when gaming with bottom-mounted speakers) and point the speakers towards you, not away from you. If your phone has a protective case or cover, it will affect the quality of the sound you get from the speakers. All those vibrations coming from inside your phone will be muffled by the additional layer of plastic or rubber that the manufacturer won't have taken into account when designing its speaker system. Not all case makers understand the subtleties of your device. Some cases block essential parts of the phone like the audio jack, microphone or speaker. Before you buy a case be sure that you check to see that it won't block anything. The simple fact is that most smartphone speakers are simply not good enough to get decent sound quality out of, even with a fancy music app or EQ. This is where a decent pair of headphones can help (some audio settings in your phone won't even work without headphones plugged in). Check out our list of the best headphones and see how much of a difference a serious set of headphones can make to your smartphone audio. Not all headphones are created equal and there are different types for various situations. Make sure you look through and find the one that best suits you. Choose “Wired ” or “Bluetooth”. Headphones are great on the go, but what about at home? Nowadays many prefer to put the phone down when they get to the house and use a voice assistant to manage their daily tasks and that includes entertainment such as music. Now accessing your favorite playlists is as simple as asking into the air. Not only do the original smart speakers such as Google Home and Amazon Echo also double as music speakers (at least, the larger ones), but audio specialists such as JBL and Sonos are offering their own smart speakers with Alexa or Google Assistant for audiophiles who want to go with their favorite brand. If you are rooted, there are plenty of app options out there that can bypass the max volume of the Android system with a few simple tweaks. Check out our ultimate guide on how to root Android for more details. If you don't want to root your phone or simply aren't convinced by the distortions that most volume-booster apps in the Play Store end up producing, then there are still a few things you can do. Get to know a little about sound waves. If you position your phone in a corner and fire the speaker output towards it, you'll get a louder, 'bassier' reverberation than if it was just shooting out into the room. The same logic applies to any object: put your phone in a box, against a bowl or in a glass (empty, of course) and you might be amazed to hear how much louder your speaker suddenly is. Sometimes a simple 'low-tech' solution can be better than what's offered by software. How do you improve sound quality on your phone? Have you found any reliable volume booster apps? Let us know in the comments. for anyone with root and unlocked bootloader, the only way to go is ARISE sound mod. totally modular and contains every sound mod you could ever want. it takes a bit of getting used to when installing, but once installed can totally change the way you view (hear) your device. One way of ruining your phones speakers is to download an app which supposedly boosts sound? I use an LG tone wireless headset and like it. But for true sound quality I love using my wired Sennheiser on the ear headphones. This comment is for people that root. Watch out for some rooted apps, if you’re rooted. A combination of two sound apps in magisk(plus deep buffer remover), made me have to flash back to stock(my one and only time on this phone). Do your homework first, get info on possible problems, just like you’d do with medicine, or your phone will get very sick! No real problems with sound output, though had a headscratcher once where the media slider was off while others were working - couldn't find it. I almost never listen to device speakers - outdoors its some good but not extravagant headphones, they just keep breaking and ambient city noise fuddles acoustic snobbery. At home a "male / male" input cable connects devices to either the living room stereo "Aux" jack, or decent peripheral speakers attached to a PC. Much better to listen to streaming services or Youtube videos that way or via chromecast: more comfortable and far better speakers and screens. Update 180911 - My new (Lenovo) tablet came with Dolby sound preinstalled, surprisingly configurable and effective. Worth checking for. i haven't found an equalizer that actually works with my Samsung J7 only things that do work are bass boost & virtualizer. Does anyone have suggestions of any that actually work please ? Without doubt the best music app is the excellent Playerpro - it has an additional add on DSP pack which provides enhanced audio features - resampler 48khz - dithering method - 32 bit output - full high end equaliser - bass boost/virtualizer - reverb effect gain - reply gain - pre-amplification - clipping prevention. It provides a high quality music player with Artist/album artwork (fully customisable) - fully editable ID3 tags - download skins - lyric finder (musixmatch/Internet/quick lyric) - lock screen & widgets. I don't normally promote one app over the next, but if you are a music fan and enjoy high quality then I highly recommend Playerpro. Thanks for the app recommendation Mark G. I'll have to look into it. Volume booster Apps in Google play store do nothing for unrooted devices, and in rooted devices God knows. Only waste the time and finishing your battery. My headphones sound just fine with my pc and my zune but when I use them with my sky android phone the sound quality is crap. Is there anything I can do to tweak it or am I just unfortunate? Use Poweramp for 4.99 this EQ tuning your headphone and speaker clearer but note speaker are always going to sound loud! The point you made about the placement of your device is very helpful, the effects of an alternative music player to your stock one can only really be had through earphones however, with only any any real benefits being had through attaching a portable speaker, or to your home system. This is obviously not ideal if your out and about, however with a good set of headphones and a portable sound amp for a best personal experience, and a separate speaker if there is a few people to enjoy music or a movie, you can even use a pass-through if your headphones allows for it. But until some major technological breakthrough in phone speaker build, these I find are the best alternatives.